Posted on June 23, 2017 by Peter S.
Have you ever uncorked an aged Bordeaux, and found a thick pile of sediment at the bottom of the bottle? Although this gritty sediment looks unappetizing, it’s actually a set of harmless compounds that play a major role in aged wines. The solid sediment in the wine mixes with the fermented juice over time, forming new flavor compounds that make the wine taste better with age. As these compounds expire, they sink to the bottom of the bottle. Low wine turbidity makes the wine appear clearer, but it can also negatively impact its ability to age through the decades if it’s filtered too much. By comparison, wines with higher turbidity can sometimes age longer in a cellar, but they often appear unappetizing to casual drinkers. The winery’s goal is to find the ideal balance between these two factors, and many do so by measuring their wine turbidity in advance. Some winemakers prefer high turbidity in their wines, whereas others prefer there to be hardly any sediment at all. For instance, an organic, or “biodynamic,” winery will try to retain as much hazy turbidity as possible when they bottle their wines because they believe that interfering with the wine’s natural state will negatively impact its flavors. Consumers also expect a biodynamic wine1 to have some haziness and a significant amount of sediment since it’s a sign that the winery didn’t try to filter out the sediment before bottling. In some cases, high turbidity makes the wine appear more appetizing for certain customers, rather than less. However, most wineries choose to filter out as much sediment as possible. A winery that wants their wines to appeal to mainstream, casual drinkers will want to make their wines appear crystal clear before bottling. An estimated 90 percent2 of all wine is consumed within its first year of purchase. Because these wines aren’t designed to age well over time, there’s no reason to have excess sediment in the bottle — the compounds won’t have enough time to expire and sink to the bottom of the container. This is why the majority of wineries choose to filter, or “fine,” their wines to create a liquid that is virtually clear. You can’t tell how much sediment is in a wine just by looking at it. To start, the sediment is usually well mixed with the rest of the liquid, and it can take as long as 10 years3 for this hidden sediment to separate from the rest of the wine. Instead, wineries use a color and haze spectrophotometer to determine how clear the liquid is, according to Nephelometric Turbidity Unit (NTU) measurements. Knowing the wine’s NTU reading in advance allows wineries to estimate how many times the wine will have to go through a filter, and how much this process will cost. For instance, in most mainstream wines designed for immediate consumption, an NTU reading of less than 1.04 is considered relatively clear. However, if that reading were greater than 1.0, the winery would likely have to filter the wine for a second time before bottling. If a winery uses a third party for filtering, as is often the case, that third party company might charge more for wines that have high turbidity. 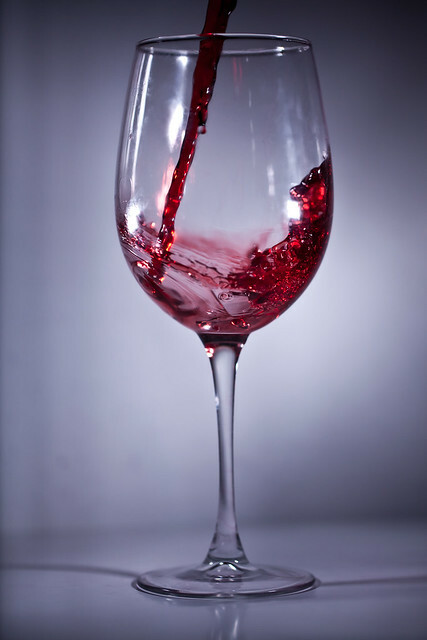 A thick, hazy wine can quickly block the filters on a machine, causing significant damage to the equipment. Many filtering companies won’t even accept wines that are cloudy. When wineries measure their wine’s turbidity in advance, they can take extra steps to clear out the wine before it reaches a third party filter company. Many wineries “fine” their wines with special agents5, such as volcanic clay, gelatin, and egg whites. These agents can grip onto large pieces of sediment to prepare the wine for further filtering. Knowing this in advance saves wineries hidden filtering fees, and prevents costly equipment damage. A spectrophotometer like Vista can give advanced warning to wineries who want to avoid unexpected filtering costs, however, it’s also useful for wineries who want to craft the best-tasting wine. The only thing to keep in mind is that this instrument works best for near-transparent liquids, like white wines, rather than thicker, more opaque red wines. Other instruments, like the UltraScan VIS, can handle a wider range of wine styles, allowing wineries to get an accurate read on turbidity. Critics pay close attention to a wine’s clarity and balance of tannins, both of which are impacted by the wine’s turbidity. A wine with less sediment will taste more pleasant in its youth because it won’t have as many bitter tannins mixed in with the fruit. 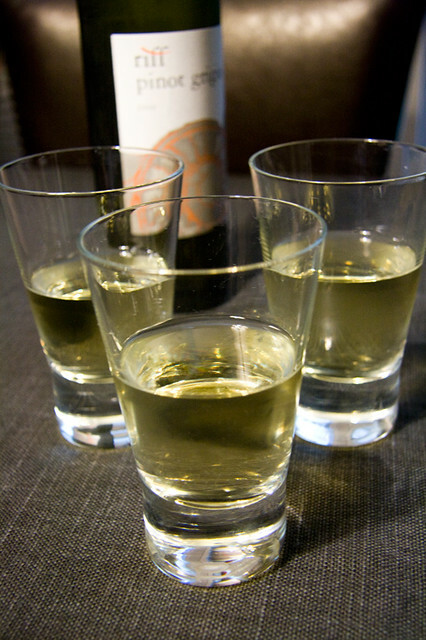 A wine with more sediment will taste slightly bitter or astringent in its youth, and these flavors will mellow out over time as the sediment naturally separates. How much sediment a winery chooses to leave in the wine will depend on whether they want their wines to impress drinkers early, or whether long term aging is their goal. To accomplish this, a winery can test samples for turbidity throughout the winemaking process. Sphere instruments such as the UltraScan VIS can detect the exact NTU reading for wine samples, giving wineries the opportunity to tweak these measurements before bottling. This instrument, in particular, is capable of measuring liquids that run from crystal clear to opaque, making it the perfect solution for any wine style. Wineries can use it to measure turbidity in their clear white wines, and also use it to measure thicker, opaque wines like Syrah. Having the freedom to switch between different wine styles and ideal turbidity readings using one piece of equipment is essential for wineries, especially those that bottle tens of thousands of gallons of wine every year. This entry was posted in Color in Food Industry and tagged color consistency, quality assurance, red wine, rose, sediment, spectrophotometers, spectrophotometry, white wine, wine. Bookmark the permalink.